Throw quickly one or more dice! 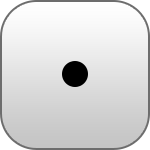 It is not known exactly who created the first die and when it was invented. 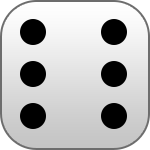 Some say that the oldest dice come from Iran, where the die was used for the board game backgammon. This game was played only by very important people. The oldest dice would be about 5000 years old! These stories tell us that dice have been used for thousands of years, and that casting dice is very popular in all countries around the world. The chance that you role a six is 16,67% with one dice? The greatest chance is a seven when you throw two dices? 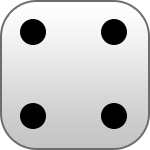 A Chinese emperor ordered all the dices with number four to be red? The oldest dice is at least 5000 years old? The "Doublesix Dice" funded $133,495 via kickstarter? Where does the word 'die' from? 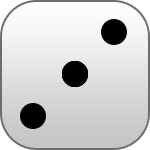 The word die is derived from the game dice , where multiple dice are rolled. 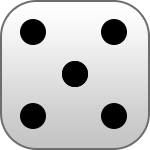 Dice is a game where you can never know in advance who wins or loses. 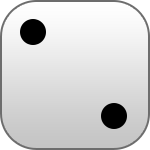 The word dice is again derived from the French word doble , that means double. Do you have tips for improving the virtual dice or any other questions? Mail to info@onlinedobbelsteen.nl!